Listen to interviews with Artists, Bands, Authors, Pastors, and actors. Brought to you exclusively by RacManChristianRadio, JTM Ministry Solutions, and listener/friends like you. 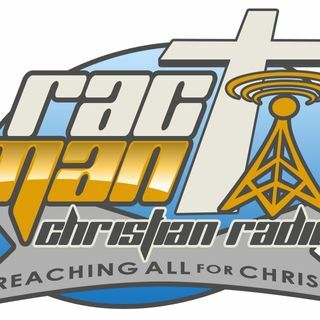 Go to www.racmanchristianradio.org/index.php/give and start your tax deductible pledge today! RacManChristianRadio Interviews/Artist Spotlights are retained indefinitely so that you can come back anytime and catch the best and favorite shows! Welcome to a special collection of interviews with actors and directors from the powerful movie I'm Not Ashamed! On Sunday, Sept 6th at 10 am PST Terry Lee Cossey lost the battle with cancer, but went home victorious to be in the arms of her Savior, Jesus Christ! Join RockinRon Corino every Saturday night 6pm CST to 12am CST. Occasionally, RacManChristianRadio comes along and streams Ron's show and interviews!